Maybe you constantly assume the worst if you don't have the whole story (She's running late... she's probably dead!). Maybe you have a tendency to overreact when a conflict involves a particular subject. Maybe you get defensive or shut down when things get tenuous. Or you pout when you don't get your way. Or you nag when things don't get done the way you want them. Or you give the silent treatment when you feel you're being treated unfairly. One hour a week with a therapist is not enough "practice" time to make a new behavior stick. After decades as a therapist seeing thousands of clients, Dr. Atkinson has worked on a solution to help people with this issue called The Pragmatic/Experiential Method for Improving Relationship His approach is all about developing a daily commitment to the disruption of damaging patterns. Here is a summary of the 5-steps he outlines in this podcast episode that will help you take a behavior pattern that isn't working for your relationship, and disrupt it so you can change the results you're getting! On a scale from 1-10 how frustrated are you right now? The first step to training yourself to act counter to your instincts is to learn to recognize when those instincts are kicking in. Typically, we tend to lose control and fall into those bad communication habits when we get emotionally charged. Before reacting or shutting down, if you can build the habit of rating the level of your frustration, you'll begin to create some real awareness which can be used to take a different path. This is the most difficult part of the process and requires real commitment. We"If you really want to change your habits, you can't let anything fall through the cracks. You have to catch it every time it happens." Step 2 - Get to "3"
If you rate your frustration and you're anywhere above a 3, take a break and do whatever it takes to get yourself under a 3. Some people take a walk. Some people engage in breathing or relaxation techniques. Some people take a shower, or do some burpees (those people are weird). Whatever it is you do to chill out, go do that thing. When some people take a break it might be difficult not to get sucked into the black pit of horriblizing. Taking time to cool down to a "3" might require you to challenge your "jumping to conclusions thoughts." Instead of feeding them with justification for your anger until you're ready to rip your partner a new one, try taking deep breaths and giving your partner a bit of a break. If you want your partner to understand and care about your perspective, you have to understand and care about theirs. If you really want to have a relationship that works, and flourishes, your plan should not be to wait around for your partner to do all the hard things. It's your responsibility to care first. Don't be afraid the one who loves the most. It's relatively safe to assume your partner isn't a crazy person. If you're in a decently healthy relationship, your partner isn't out to get you. So, if you're not married to a crazy person who is out to intentionally ruin your life, what is one thing that might explain their irrational behavior? What's understandable about it? How can you identify something that makes them not insane? When you assume your partner isn't acting maliciously, and they probably have a good reason for behaving like they do, it will help you get one step closer to empathy and mutual understanding. 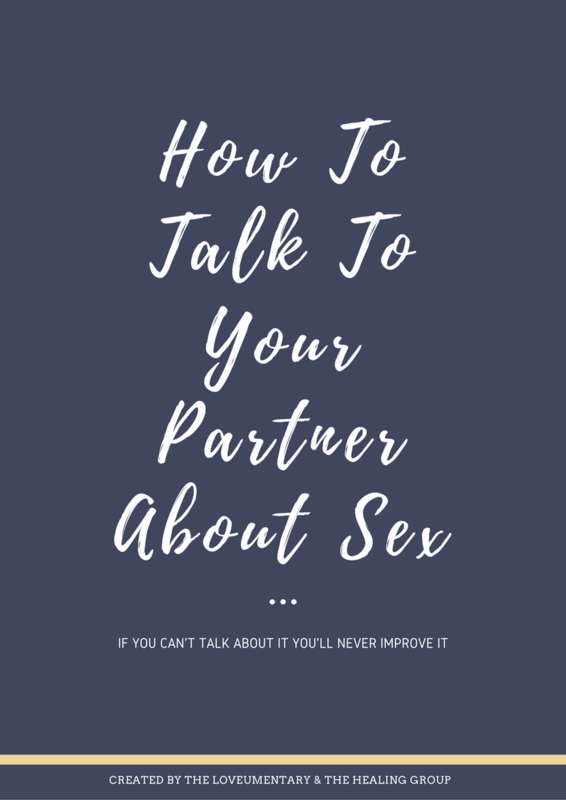 Think of some words that, when you resume the conversation with your partner, can convey an acknowledgment of some understandable things about their perspective. If you can't do that, what can you say that will show them you're trying to understand? When people feel like you "get" them - like they're being heard, acknowledged, and understood - they have no reason to get defensive or lash out to protect themselves. We all have a tendency to jump to conclusions. We assume there's a "tiger" in every "bush." When you can remind your partner you're not a "tiger," that you're on the same team, and that you can be trusted, you'll be amazed how big, scary conversations can turn into beautiful bonding opportunities. Brent Atkinson, Ph.D., is principle architect of Pragmatic/Experiential Therapy, an approach which translates new knowledge about how the brain processes emotion into practical methods for improving relationships and increasing personal success. Brent is a widely-known teacher, researcher and therapist. His enthusiasm is contagious, and partners are inspired by the confidence he exudes in each of them. You can experience first-hand his ability to present complex ideas in compelling and easy-to-understand ways by reading two recent articles describing his therapy with couples, The Emotional Imperative, and Brain to Brain. Dr. Atkinson is Professor Emeritus of Marriage and Family Therapy at Northern Illinois University. He received a Ph.D.in Marriage and Family Therapy from Texas Tech University, a Master of Science in Marriage and Family Therapy from the University of Wisconsin, and a Master of Arts in Theology from Fuller Theological Seminary. He is a Licensed Marriage and Family Therapist, and is a Clinical Member and Approved Supervisor of the American Association for Marriage and Family Therapy (AAMFT). Dr. Atkinson’s thoughts on emotional health and therapeutic process have appeared in professional journals such as the Journal of Marriage and Family Therapy, Family Process, the Journal of Family Psychotherapy, the Journal of Systemic Therapies, and others. Click here for a list of his publications. Dr. Atkinson is also a frequent keynote speaker at professional conferences. Brent is past-president of the Illinois Association for Marriage and Family Therapy, and has served on the editorial boards for the Journal of Marital and Family Therapy, the Journal of Systemic Therapies, and Family Therapy Case Studies. Brent’s methods for helping couples have been recently described in The Washington Post, The Oprah Magazine, Cosmopolitan and The Complete Woman magazine. His therapy with couples has been featured in numerous articles in the Psychotherapy Networker magazine .